a. In Planning, coordination is required between main plan and supportive plans of different departments. b. 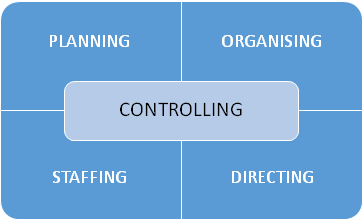 In Organizing, coordination is required between different resources of an organization and also between authority, responsibility and accountability. c. In Staffing, coordination is required between skill of a person and job assigned to him, between efficiency and compensation etc. d. In Directing, coordination is required between superior and subordinates, between orders, instructions, guidelines and suggestions etc. e. In Controlling, coordination is required between standards and the actual performance of the organization. a. Top Level: It requires coordination to integrate all the activities of organization and lead the efforts of all the individuals in one common direction. b. 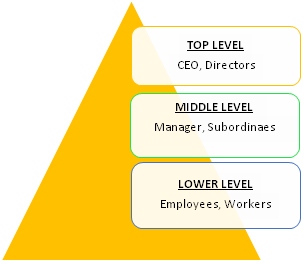 Middle Level: It requires coordination to balance the activities of different departments so that these can work as a part of one organization only. c. Lower Level: It requires coordination to integrate the activities of workers towards achievement of organizational objectives. Any company which fails to coordinate its activities cannot survive and run successfully for a long period of time. For example: Allwyn Company established in 1942, was the first company to produce a double-decker bus. It was running successfully as a leading electronic industry, especially in refrigeration industry. By the end of 1980 the company faced the problem of coordination. There was lack of balance and integration of different activities; as a result the company started facing huge losses and by 1993 company had an accumulated loss of Rs.168 crores. Company failed to balance its departmental activities and product folios. So, in short we can say without coordination no company can work efficiently and earn profit. After analyzing the above features we can say that coordination is not a simple function of management but it is the “essence of management” or in other words we can say that all the functions are flowers and coordination is a thread that ties these flowers to form the garland of organization.